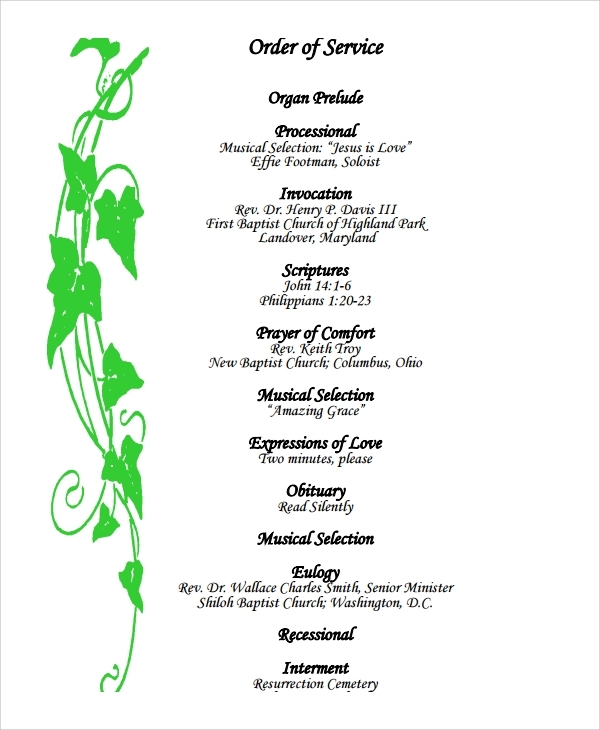 We conduct funeral service is the final service that we offer in honor of the deceased. 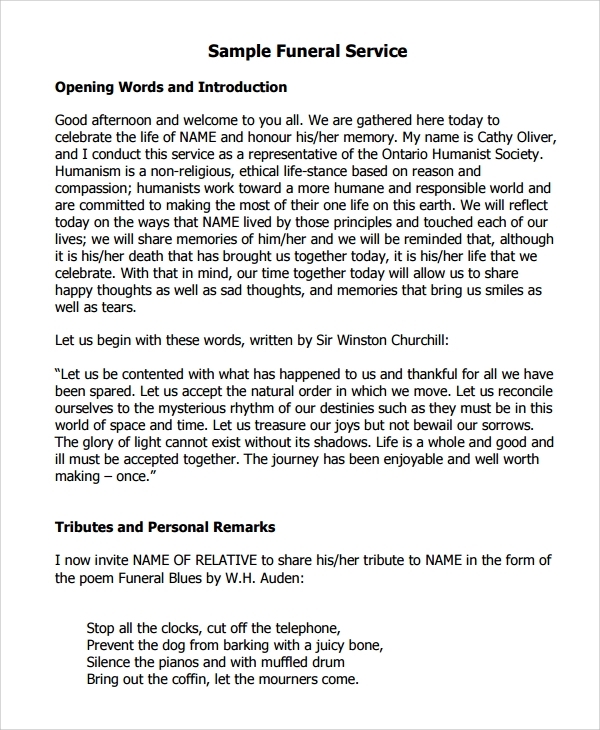 The service starts with a welcome from the master of ceremony who introduces himself/ herself and goes ahead to welcome relatives to give their tributes and personal remarks. Family and friends are given a chance to speak and then there is a moment of silence. The next is a reflection on life and death and lastly is the concluding words. 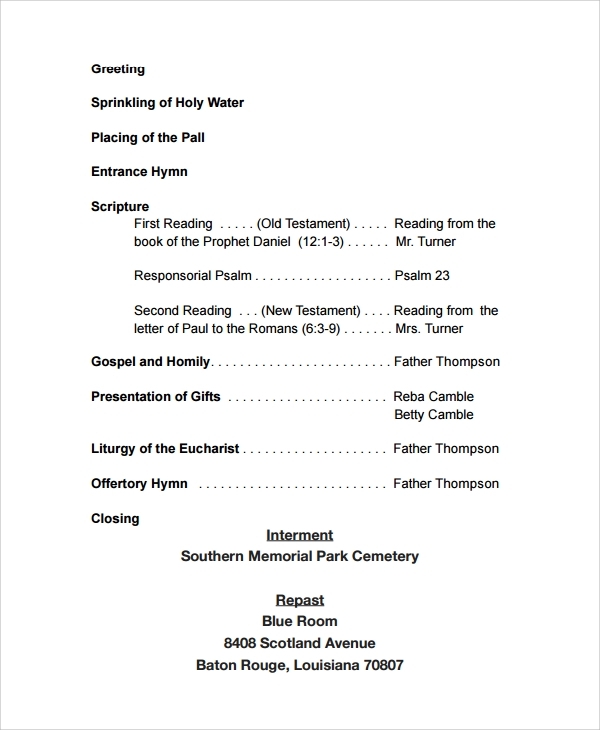 This program helps to bring order to the funeral. 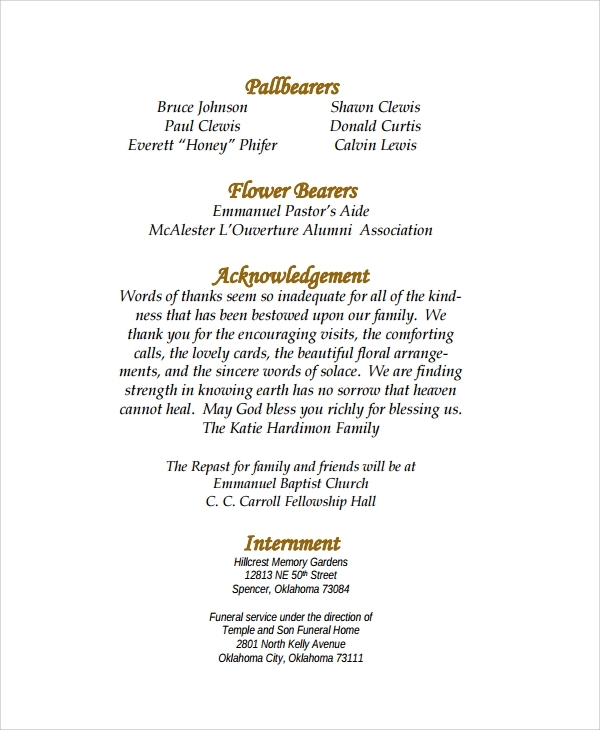 This is a service conducted in the loving memory of a family member or relative who has away. In this case, you give a message to a card or any other means to remember the deceased for any good thing they did when a life and achievement and the gap that they have left in your life. This is a program for the military officer who has passed away, the program is conducted by soldiers who do entirely everything including carrying the body. 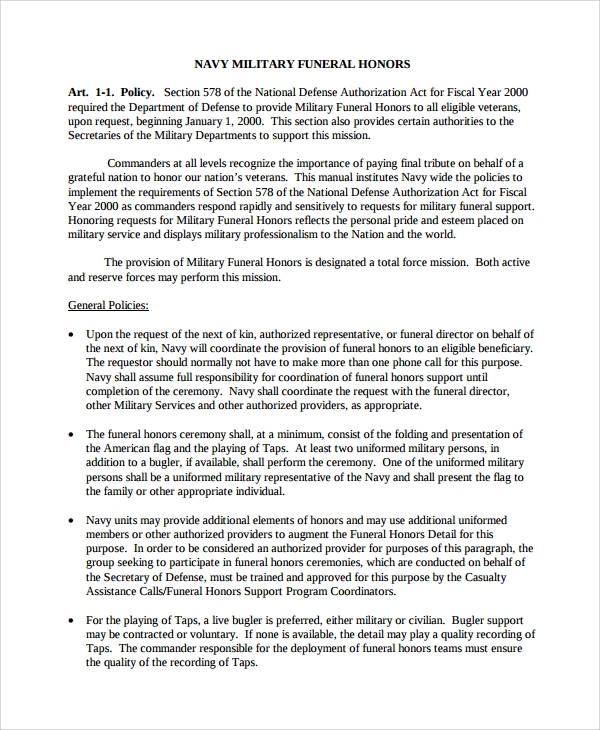 All the military rules concerning a funeral are carried out. The casket is covered with a national flag to honor the fallen soldier. The programs vary depending on the department of the soldier. There is a written prayer to be recited during the funeral, this prayer also varies depending on the religion. 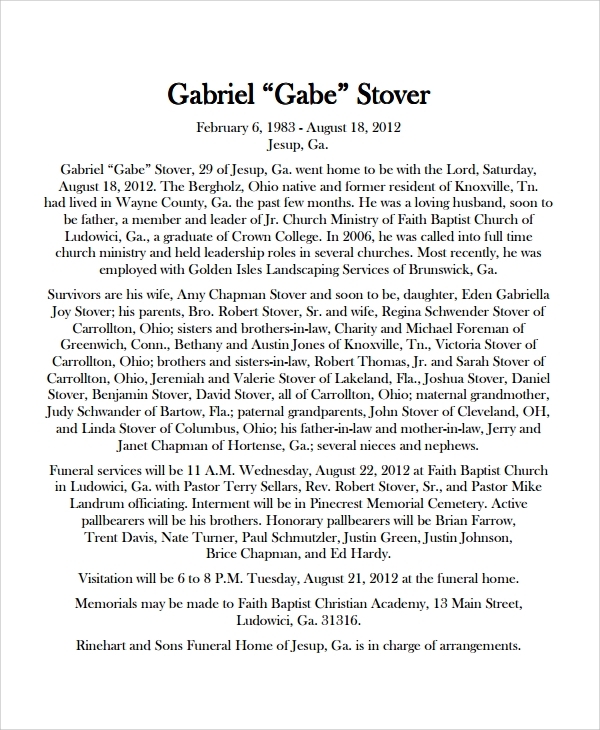 This template is important because it will help you to format your own obituary. Obituary makes the news about the death go far and wide within a short time. 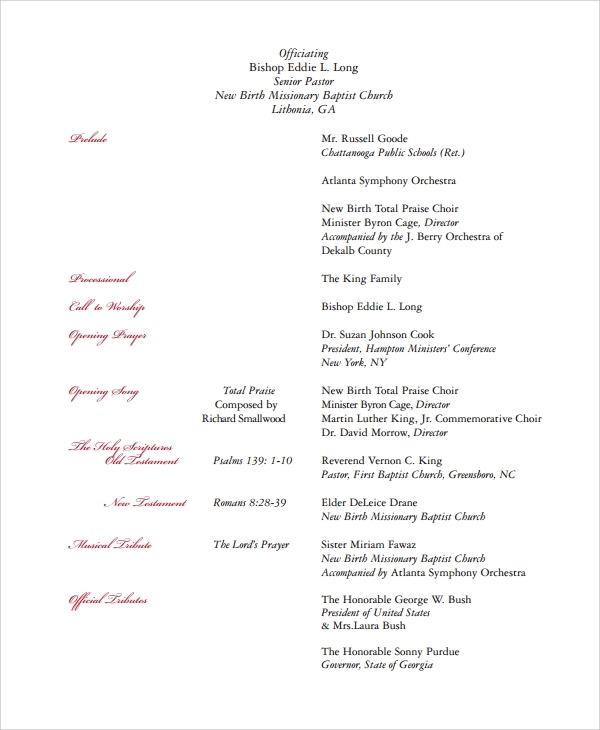 It also gives people some information about the funeral. 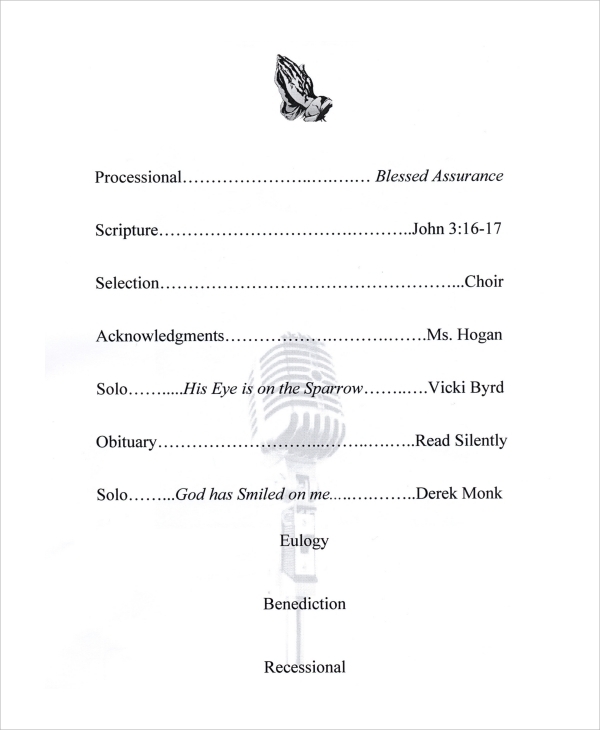 When you are called upon to write a funeral program where do you start from? These templates are very rich with information on how you can go about doing it. 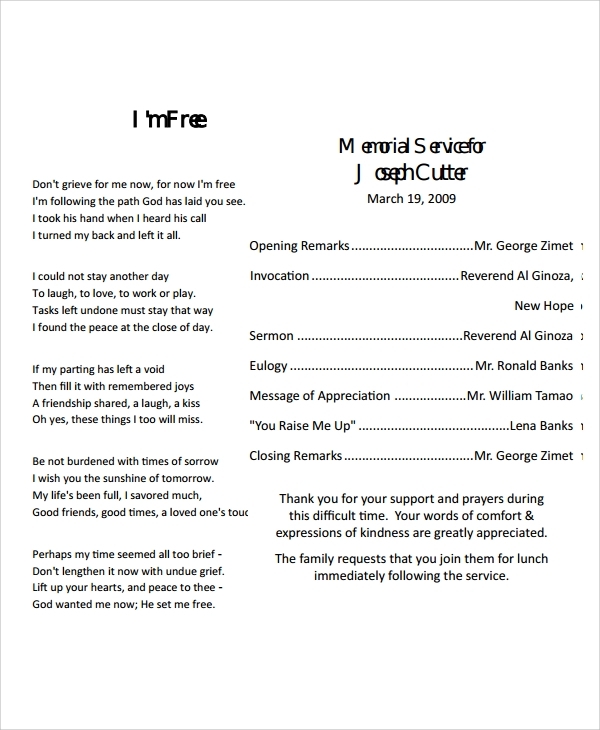 Be it for a military funeral program, funeral memorial program or any other you don’t need to bother yourself, our templates are readily available in word and PDF format. You can visit us to get that template that suits your needs.